$3.50 shipping for every 5 bands (from any listing). You will be refunded the extra shipping charges. 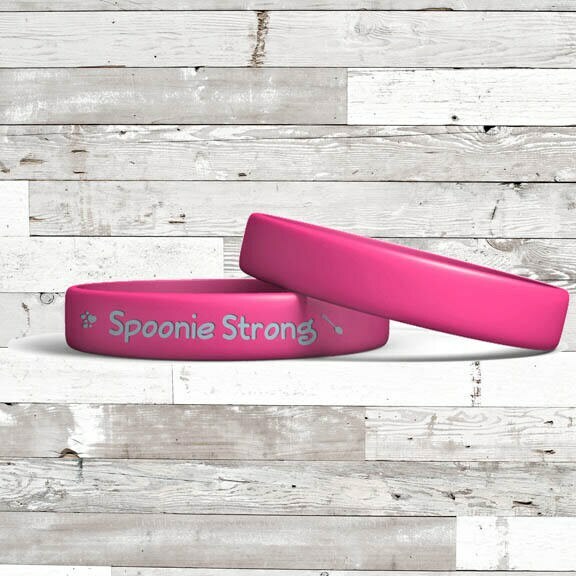 Silicone wristband with "Spoonie Strong" there are also hearts and a spoon icon. The wristband is pink and has the writing in light blue.